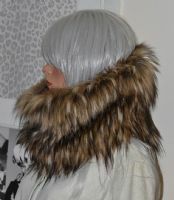 Fur fashion is always a top trend for Autumn/Winter with real and faux fur accessories by designers such as Versace, Armani, Hermes, Prada and Jean Paul Gaultier being shown at fashion week where we see stoles, jackets, collars, handbags and wrist cuffs in big blocks of bold or pastel colours, stripes or animal fur being paraded down the catwalks. 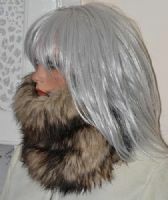 Fox, raccoon, rabbit fur and faux fur accessories are always popular and if you want to keep up with the top designer fashions, having the latest fur headband, wrist warmers, or circle/snood scarf is a must. 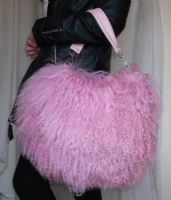 Faux or real, designers across the globe have used it in their collections, and there does not appear to be any limitations on how to wear it - fur has been used to dress up shoes, handbags and even sunglasses! 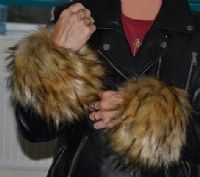 Adding a pair of fur cuffs to a top, jacket or coat will bring any item of clothing up to date, or boot cuffs & legwarmers can be used to jazz up an older pair of shoes or boots. 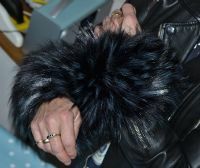 Many fake fur accessories feel just as good as the real thing but at a fraction of the price and add a touch of luxury and attitude to any outfit. 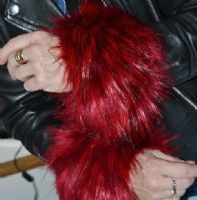 Rabbit fur is a little less expensive than fox and raccoon, but still incredibly soft and warm. 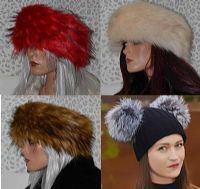 Whether you're looking for a gorgeous fur headband to keep your head and ears warm, scarves, faux fur snoods, loop scarves, fur trimmed gloves or cuffs we have a selection of lovely accessories made in a variety of fur types and colours that will look great with anything. 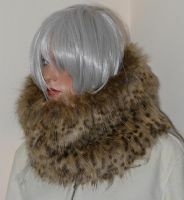 Please Note: Handmade Faux Fur Headbands, cuffs and snood scarves are made to order and usually take 2-3 days to dispatch.